Microsoft Field Service provides powerful tools to optimize your resource scheduling. Automatically schedule work to the most appropriate resources based on availability, skillset, and proximity, while fitting in the most appointments per day. Gain complete visibility over available resources with the Interactive Schedule Board that displays all jobs and technicians across an easy-to-use interface. Take the complexity our of matching the right resources to the right jobs with the Schedule assistant, which recommends and ranks available resources for upcoming jobs. The Interactive Schedule Board enables dispatchers to easily respond to changes and cancellations, update and reroute Field Agents in real time. While "brand" is certainly an important aspect of your business, the latest research conducted on 6,000+ mergers between 2003-2013 shows that "customer experience" now overpowers "brand" as the new standard for evaluating businesses. 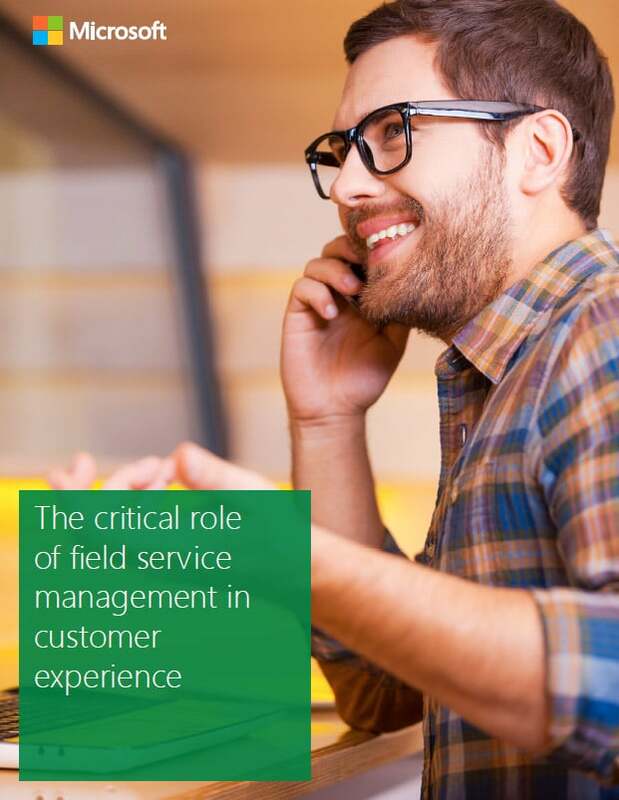 If you're running a field service organization, you probably know by now that customer experience, customer service, customer satisfaction - really, whatever you choose to call it, is very important to your overall business health. Happy customers lead to more sales and more referrals, and referral is, by far, the most powerful marketing driver there is.